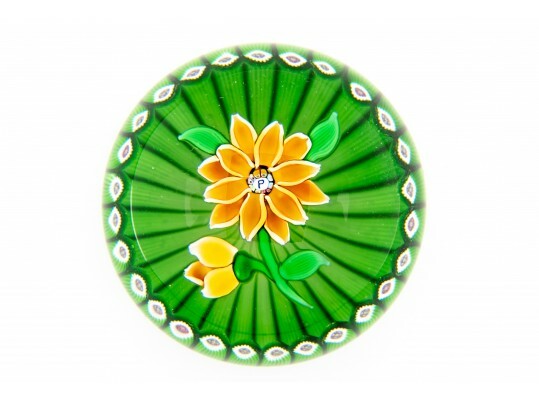 Perthshire art glass paperweight, made in Scotland, depicting a small yellow three-dimensional flower and bud which are set in a basket of millefiori canes. The weight is signed in the center of the flower. With certificate and box.